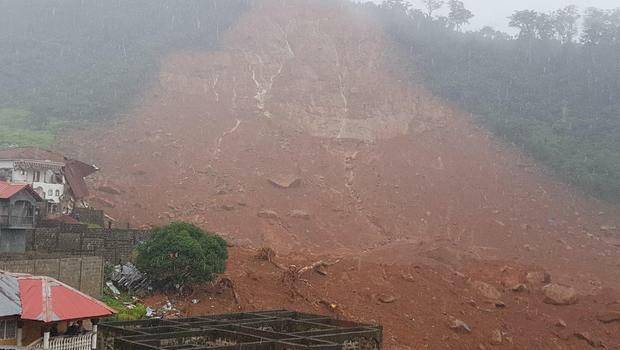 It is thought hundreds of people have been buried alive in a massive landslide in the capitol of Sierra Leone, Freetown today. It is thought the landslide happened in the Regent area of the city this morning after heavy rains. It is thought most of the victims where asleep in their bed when the landslide happened. Sierra Leone's Vice-President Victor Bockarie Foh said it was "likely that hundreds are lying dead". The total number of casualties is likely to rise. A Sierra Leonean disaster management official, Candy Rogers, said that "over 2,000 people are homeless" as a result of the mudslide in the Regent area, AFP reports.